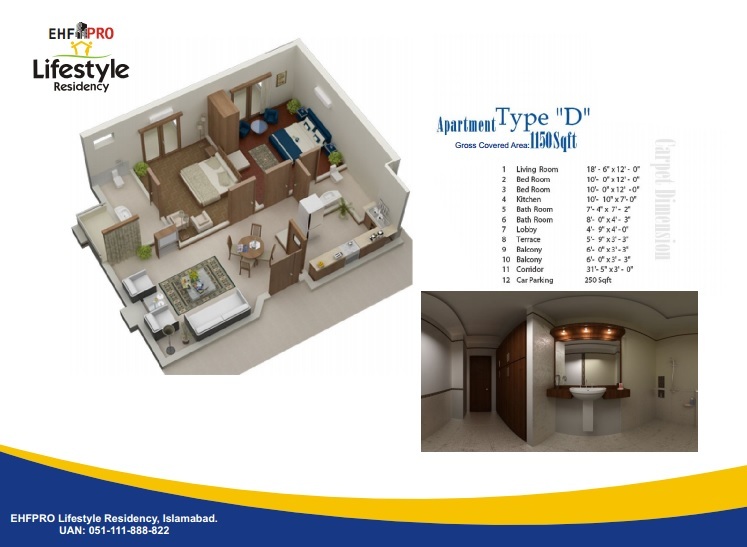 The project is ideally located in sector G-13 which is a newly developed sector and where there is a lot of demand and potential for such luxurious residential projects. This is a complete residential project where apartment buildings are 14 storeys tall with 3 storeys reserved for basement car parking. The project is open for booking and membership drive is going on at full swing. 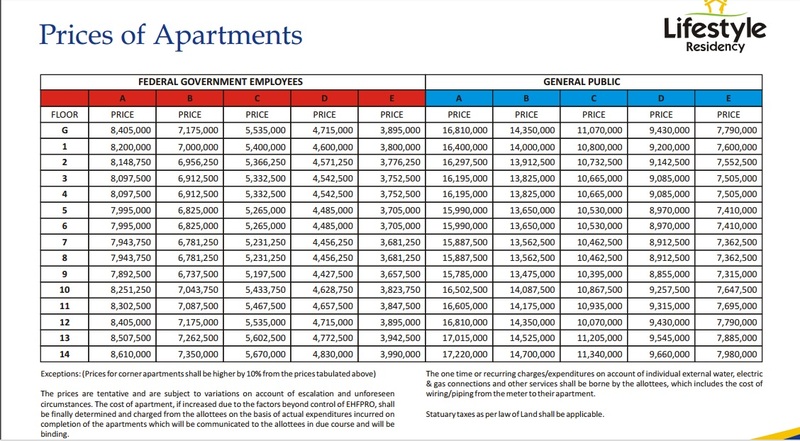 Since this is a government project, 75% quota is reserved for Federal Government working and retired employees while 25% quota is reserved for general public. 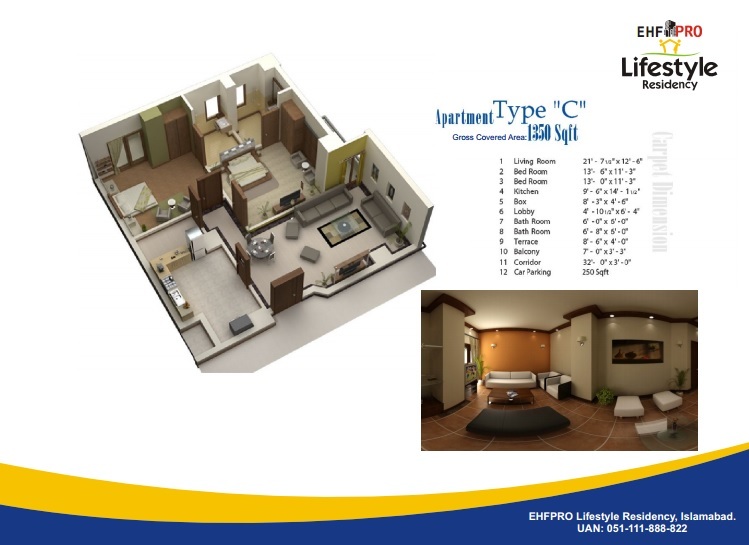 Application for the membership will undergo balloting process before apartments can be allotted to the applicants. 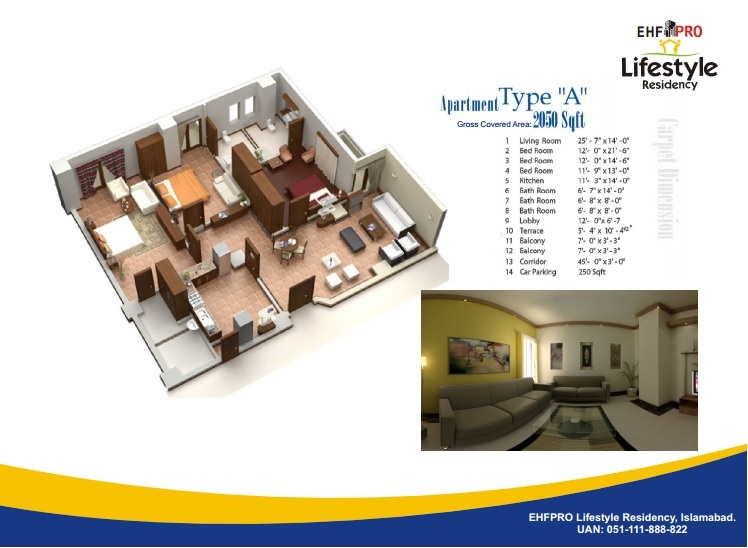 Lifestyle Residency Apartments offer 1,2 and 3 bedrooms different types of apartments i.e. A Type, B Type, C Type, D Type & E Type. 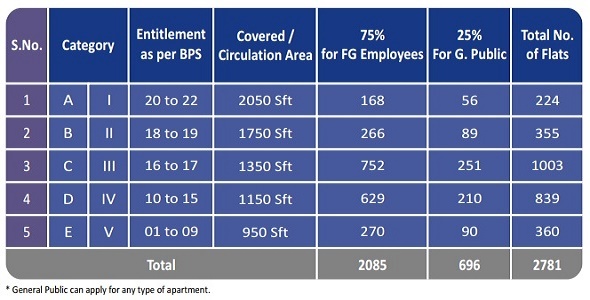 There are limited number of apartments reserved for general public in this scheme which is quite unfair on part of the housing foundation, also the difference in prices is more than double as compared with the prices given to federal employees. 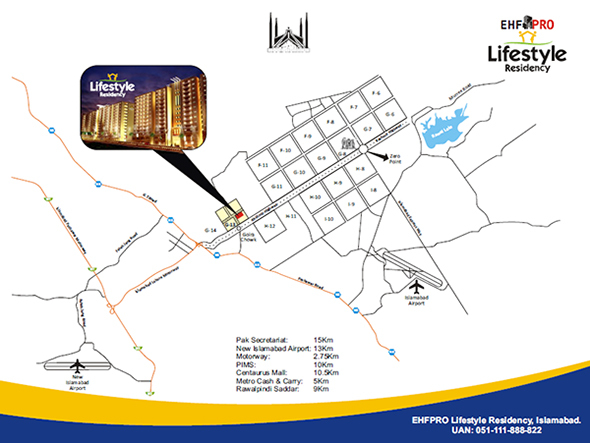 This is a mega project offering more than 2700 apartments in multiple high rise building blocks. 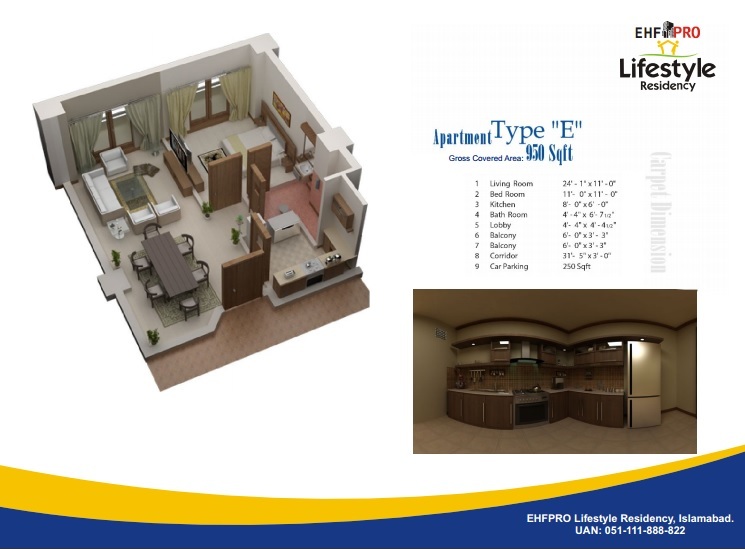 Lifestyle Residency Apartments is a unique project for various aspects; most importantly due to the very attractive location and feature embedded with it. 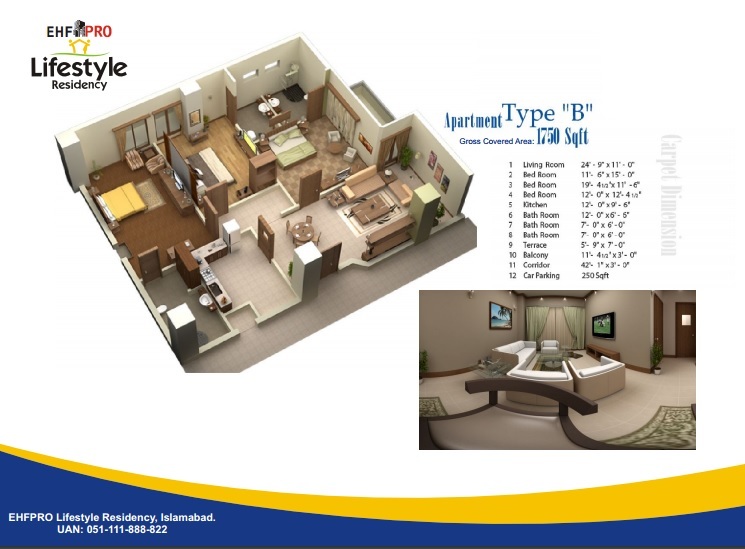 Regarding the prices of apartments in Lifestyle Residency, the rate determined for federal employees starts from 3950/sqft and the rate for general public starts from 8000/sqft. 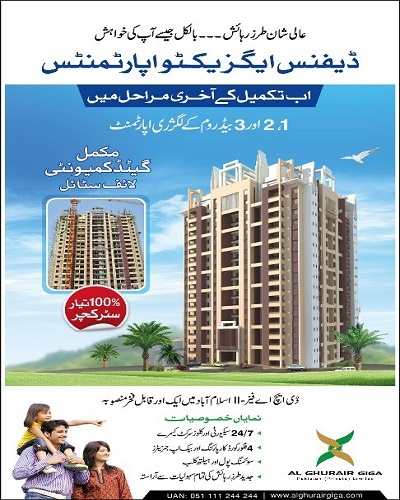 Lower apartments are comparatively cheaper than upper ones. The payment plan is spread over 3 years, which means 12 quarterly installments will be payable after the given 13% downpayment in case a member is eligible to get apartment. 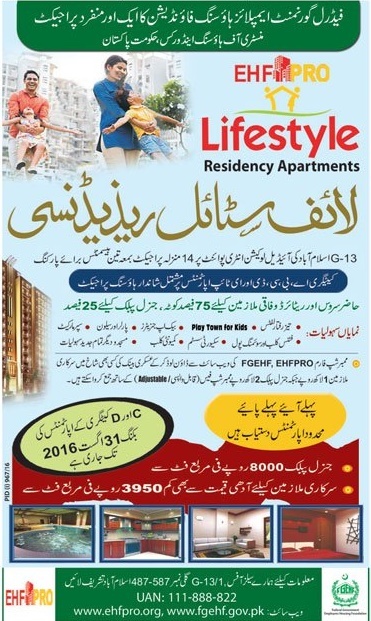 Membership drive is open till 31st August 2016, so anybody who is interested to apply for membership in Lifestyle Residency Apartments including federal employees and general public can simply download the application form from EHFPRO or FGEHF websites and submit alongwith membership fee (refundable/adjustable) 100,000/- for federal employees and 200,000/- for general public to any branch of Askari Bank Limited.